Well, I made the decision last April that 2014 would be the year to get a different perspective to Disney. And as a result, I think I lost my mind. 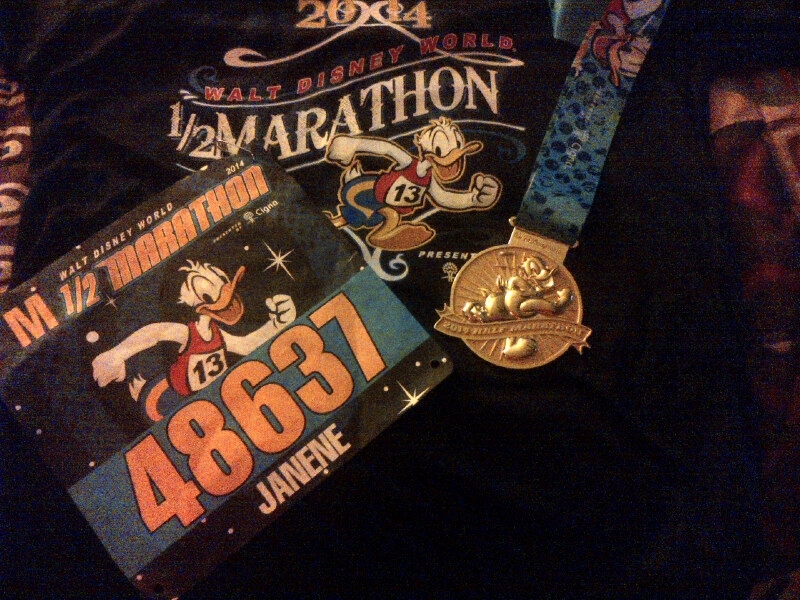 I signed up to do the runDisney ½ Marathon in January 2014. Keep in mind, I am NOT a runner, but I do walk 4 – 10 miles at a time, so I figured I could do this with a little training. However, I went into the weekend not exactly prepared since I used the cold weather in Ohio as an excuse to not train enough, but even though I wasn’t completely prepared, we had a blast. How could you not being that it is all Disney – right? To start, the weather for the entire weekend was absolutely perfect. 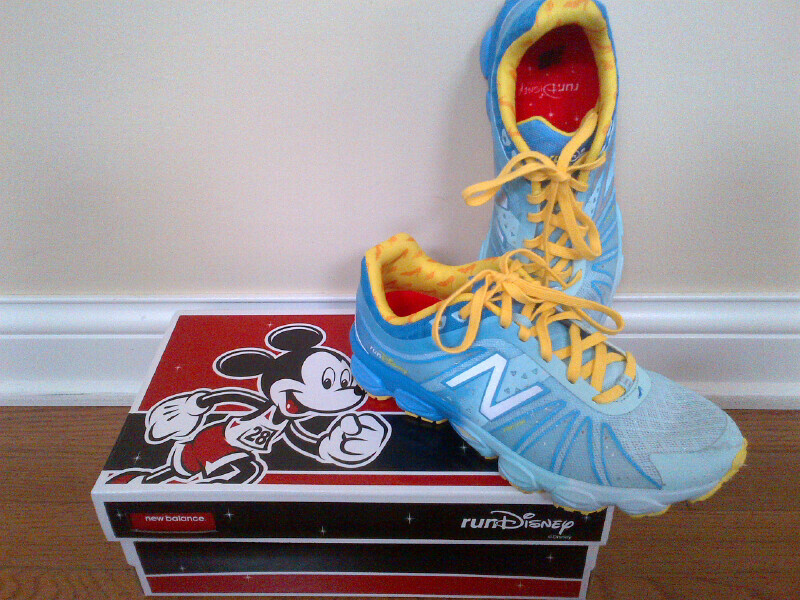 The Expo was great and I picked up my Princess New Balance shoes. I am still amazed at my luck that they still had my size since I didn’t get over there until Friday. Otherwise, the Expo was fantastic and they had a great assortment of souvenir items for each of the races. There were also a variety of vendors that provided running merchandise. It is hard to believe that a race with over 20,000 participants could be run so smoothly. Race day started with a 3:00 AM wakeup call since they recommend runners should catch a bus no later than 4:00 AM to get in your corral but the 5:30 AM start time. Each corral was even given their own firework send-off. The race route was fantastic, which provided many opportunities for pictures with characters – if you don’t mind waiting in line. But if you are determined to get your best finishing time, there are plenty of photographers along the route to get your “action” picture. The costumes were fantastic (and it made me realize that I don’t have a creative bone in my body), but gave me plenty of ideas for next year. Next year, I plan on doing both the 10K and ½ Marathon. I may through in the 5K too. But for me, it was all about the “bling”. Very impressive and I can’t wait to add more to my new collection. Congrats on finishing the 1/2 marathon! My partner did the 1/2 last year and had a BLAST! Very impressive bling. 🙂 Thanks for sharing.